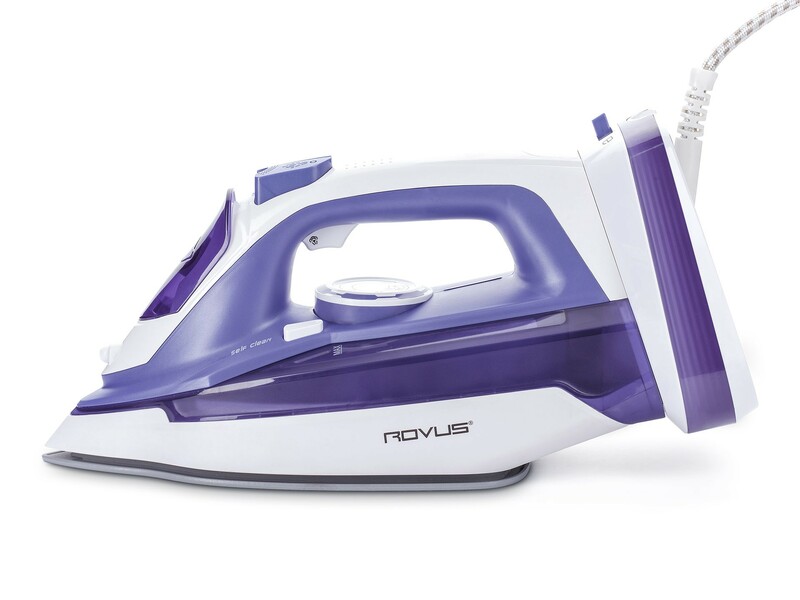 Get your garments crease-free in half the time you usually need for ironing with the powerful Rovus Supreme Cordless Iron. 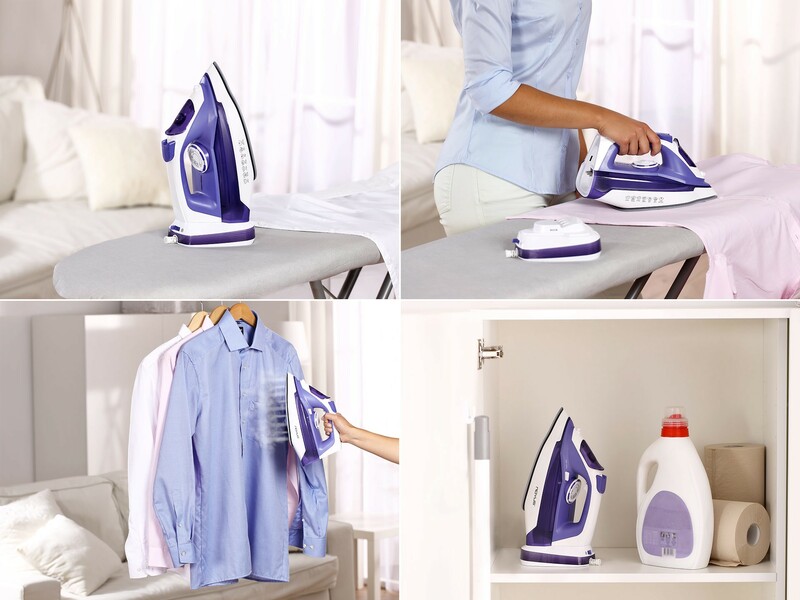 It is designed to make any ironing task faster, safer, more effective and more pleasant thanks to its innovative features that get the most out of the iron and demand the least effort out of you. Sure, you still need to guide it across the ironing surface with your hand, but apart from that it does practically everything else by itself. 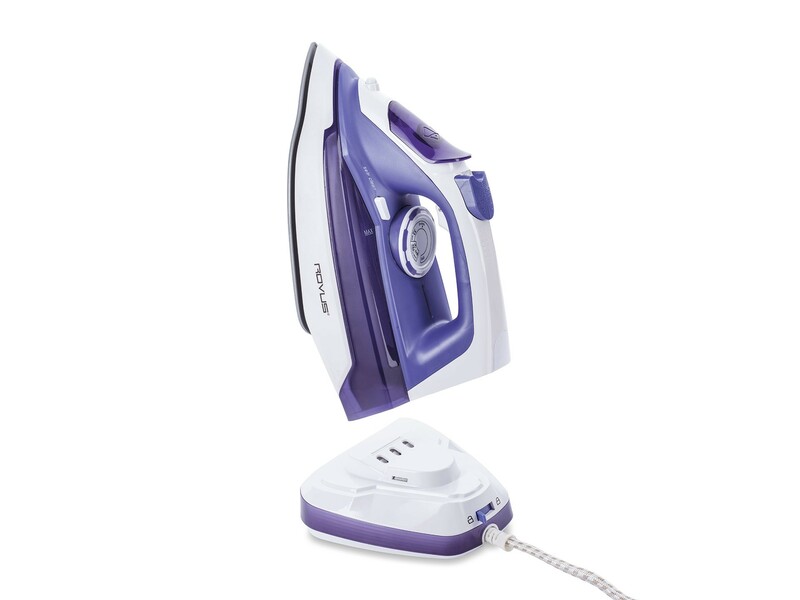 Rovus Supreme Cordless Iron can be used cordless or with cord to offer maximum comfort when ironing, plus it features a non-stick ceramic soleplate with an amazing enhanced precision tip to easily get to all the hard-to-reach areas. The sole also features special holes that trap pockets of air between the fabric and the iron to ensure smooth gliding, even distribution of the heat and, in the end, crease-free results that make the fabric look perfect once again. 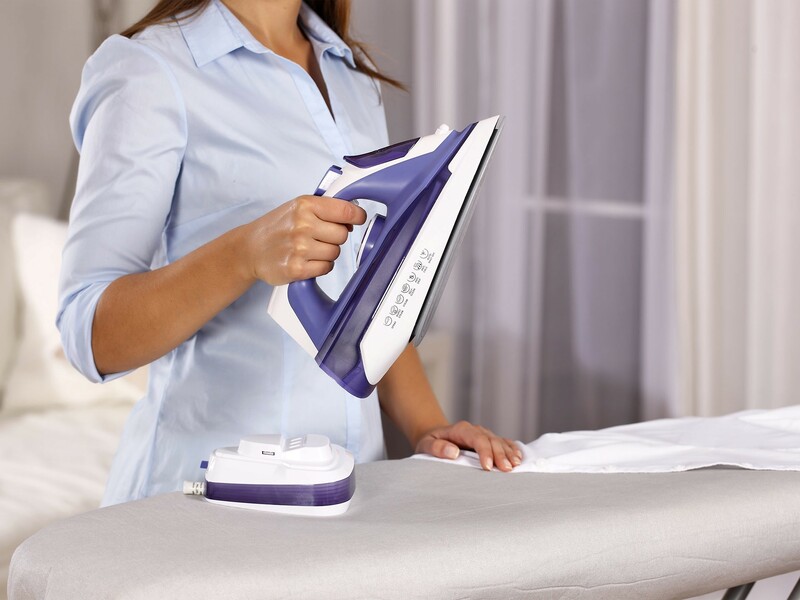 When ironing, it is not just about gliding the iron across the fabric to get it smooth – this tedious task also includes cleaning and maintaining the iron. No more! 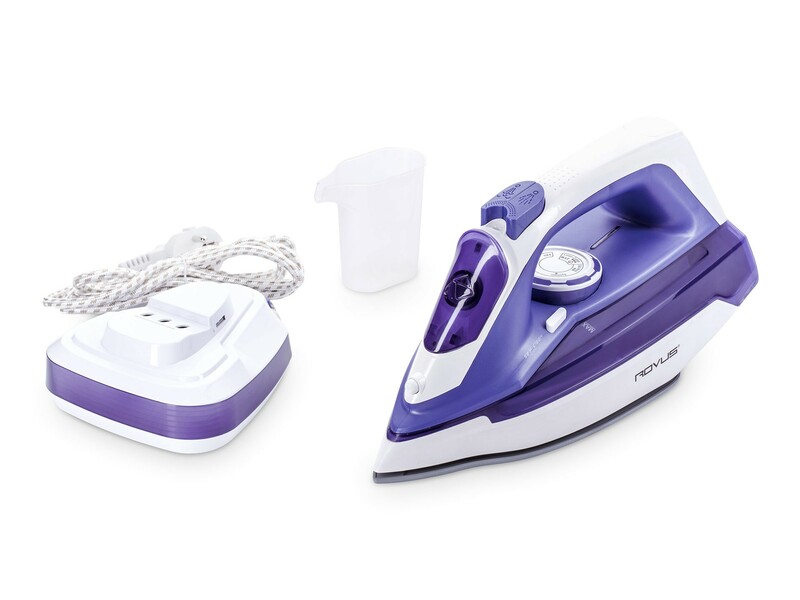 Rovus Supreme Cordless Iron features an anti-calc system that removes impurities from tap water and prevents limescale from forming (no need to buy expensive distilled water anymore!) 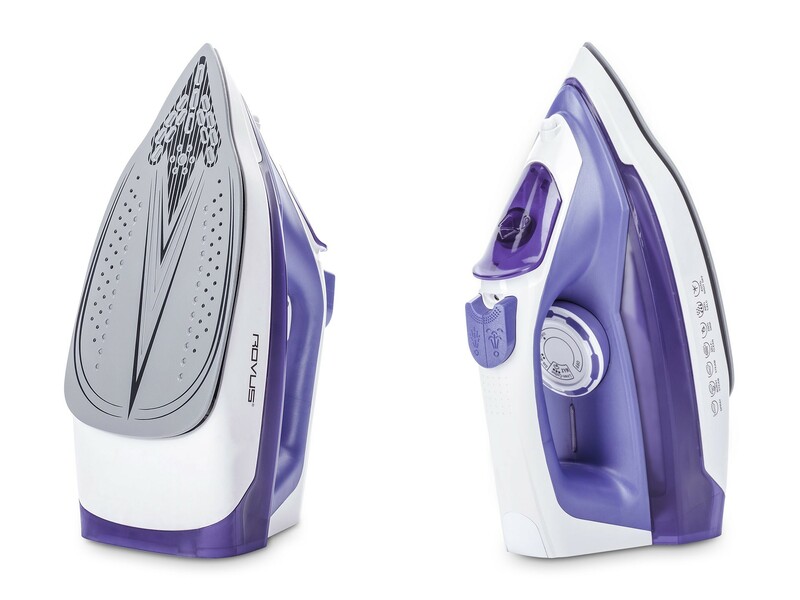 and a self-cleaning system that clears mineral built-up and prevents the iron from clogging. And all this also in vertical mode to allow easy smoothing of hanging garments and with an anti-drip system that protects your garments from water spotting. Never quite sure whether you switched your iron off before leaving home? With Rovus Supreme Cordless Iron you don’t have to worry about that anymore as it offers an automatic shut-off function to turn the iron off when you forget to.